A magnificent work of French industry, the Eiffel Tower is a large metal structure that has survived history and is therefore always visible. 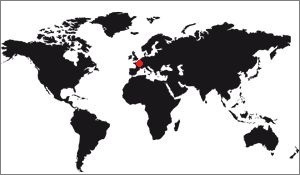 It is located in the center of Paris, in the 7th arrondissement. It is 300m high and has the shape of a pyramid with 4 sides whose base is inscribed in a square of 125m side only. Made of puddled iron (an iron that lost part of its carbon and therefore less oxidizable), it was built with beams, joists and spacers that form a stack of caissons of large sizes. There are 30 levels of caissons to reach the 300m height. If you look carefully at the tower, you can see this pile of caissons: There are 5 to the first floor, 5 more to the 2nd, and the other 20 to the 3rd floor. Initially the tower was named "300-foot tower", or "1000-foot tower". This Anglo-Saxon unit of measurement is used here because it was at the root of the rivalry between the newly industrialized European nations, all of whom wanted to be the first to build a metal building, a new building material, more than 1000 feet in height. It was a Frenchman who realized this feat, Gustave Eiffel. He was an entrepreneur, a specialist in the use of iron and steel for the construction of railway and road bridges. 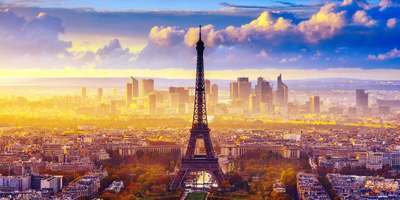 It was he who responded to the call for competition for the construction of a gateway for the 1898 Universal Exhibition which was to be held in Paris and which required this famous tower. 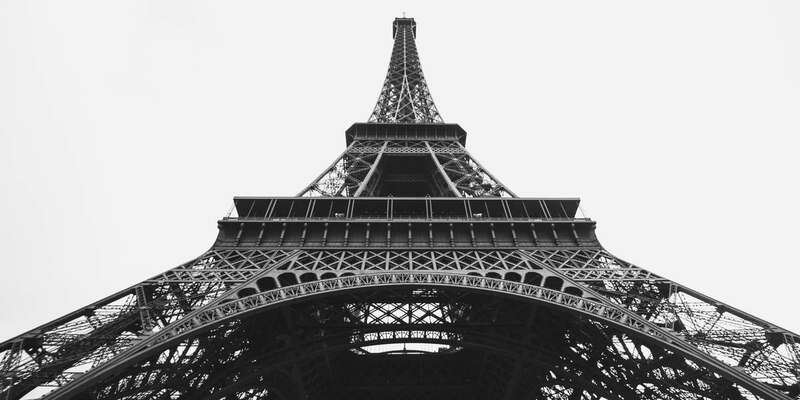 The choice was made on the company Eiffel, only to be able, according to the results of the competition, to succeed in building this famous tower. 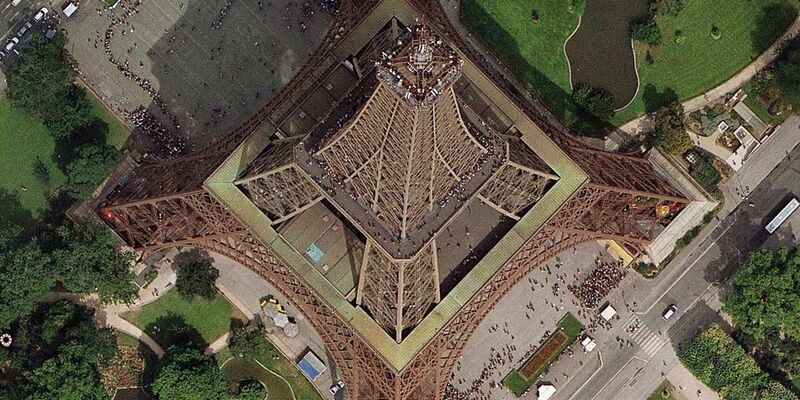 This site offers various photos of the Eiffel Tower, its ensemble, its floors, day and night, etc. 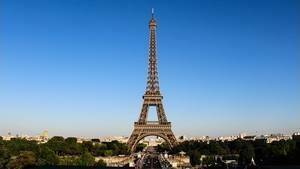 Until 1933, the Eiffel Tower was the tallest man-made building, and was only dethroned by the Empire State Building in New York, 40 years later. It is exactly 324m high, and it has increased in size twice in its history, each time because of the addition of more efficient broadcasting antennas. The stages are successively at altitudes of 57m, 115m and 276m, and it is necessary to know that there is an intermediate stage between the 2nd and 3rd, but it is no longer used nowadays, it served as transhipment of passengers to start of operation because the elevators were unable to climb so high at a time, at that time. The page below gives all the dimensions of the Eiffel Tower, with fairly accurate details. 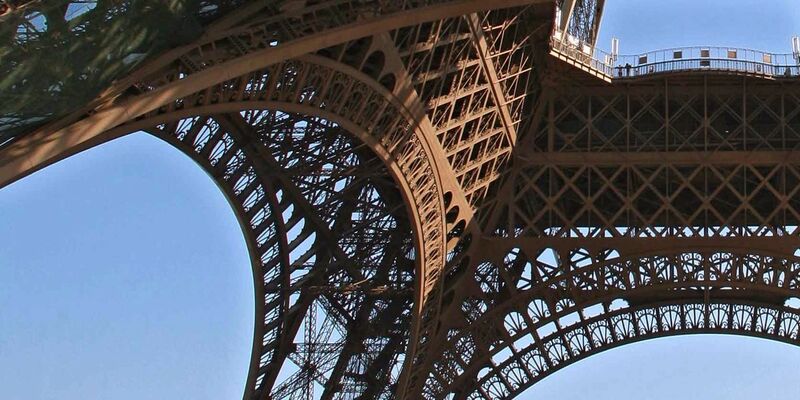 Do you know that the Eiffel Tower is regularly covered with a new layer of paint? It happens every 5 years, and a painting campaign lasts about a year and a half. And every time, the painters add 50 tons to the tower, that's the weight of the new layer. They also remove a little, scratching where the previous layer peels for example, but it is never completely stripped, the work would be too important. 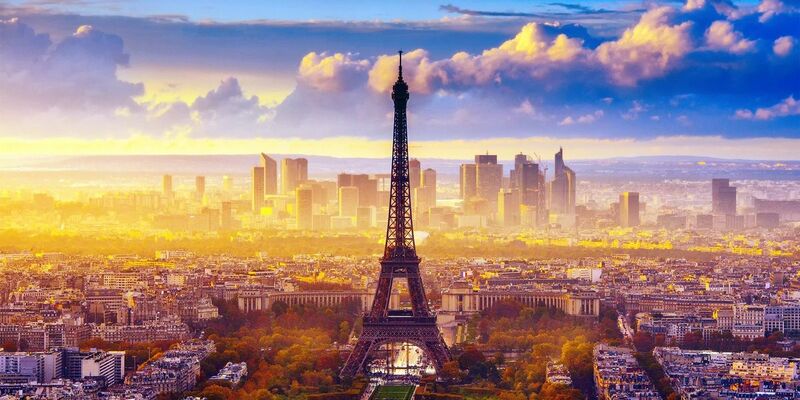 The Eiffel Tower is obviously the symbol of Paris, and abroad, that of France, is obvious. 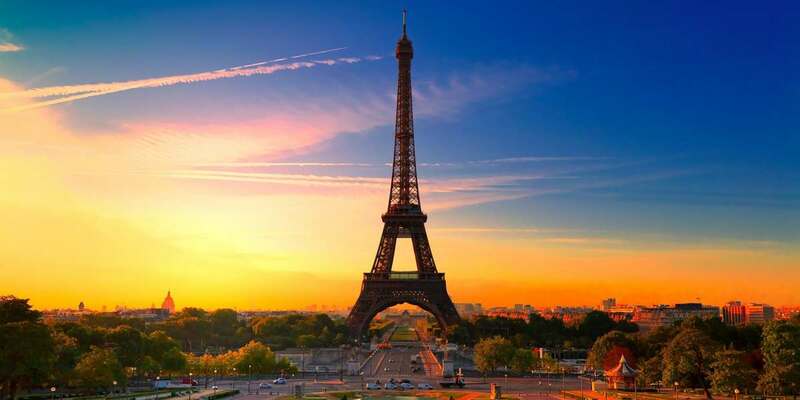 Not that it is the only one, after all the Sacré-Coeur or the Arc de triomphe have the same role, even the cathedral of Chartres or the Pont du Gard, but it is true that when we must symbolize France, c is often the Eiffel tower that is used. But it is also the symbol of the French genius, at the end of the nineteenth century, and quite a few other things. 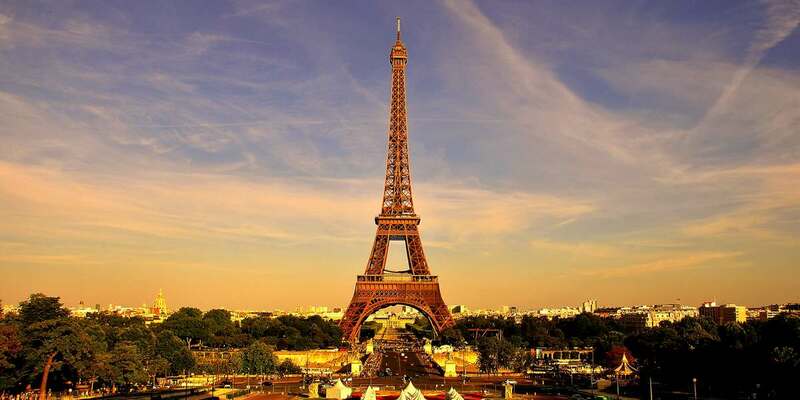 You have all the explanations on the symbolism of the Eiffel Tower on this page. 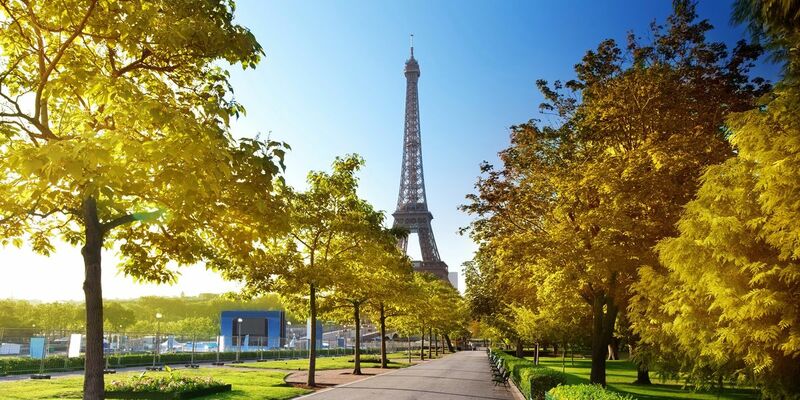 Theater, songs, literature, cinema ... all artistic domains use the Eiffel Tower, in profusion. It is found in a large list of films, several books take it as a central character, and even advertising makes it a suitable place for sale. In literature, for example, the tower has gone through several stages. At first denigrated or adulated, it made the happiness of the editors who held there a subject of discord, therefore of assured sales. She was mocked, then ignored before returning in grace in literature as a respected old lady, witness of her time as well as previous ones. In song we all have in our head the voice of Jacques Dutronc who sings "It is 5 hours, by awakens", then "... 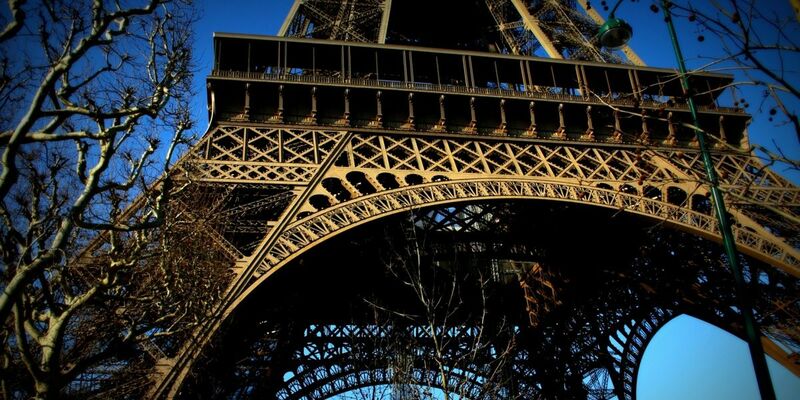 The Eiffel Tower is cold at the feet ...". Pascal Obispo uses it as a comparison "It's my reason, my Eiffel Tower ..." There are hundreds of songs in the World that were made using the Eiffel Tower in words, you have a little anthology on this site. As for the paintings, since the end of the 19th century the painters have represented the tower from various angles, with various styles. There is a short summary of these works on this site. To see : Movies, Theatre, Songs, Literature, Paintings , Advertising. Read the document on the History of art too.